Leading Manufacturer of bridle roller, rubber lining rollers, sealing roller, snubber roller, squeeze roller and steering rollers from Sahibabad. 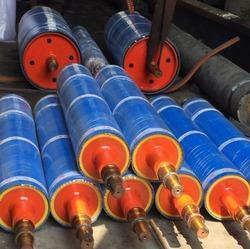 With a desire to cement our reputation in the market, we are engaged in offering an excellent range of Bridle Roller. Keeping in mind current market development, these rollers are manufactured by our qualified professionals employing premium quality raw material and modernize tools. Apart from this, our quality inspectors perform a series of test on the entire range ensuring its flawlessness. We are precursor firm instrumental in supplying qualitative range of Rubber Lining Rollers. Our offered rollers are very much appreciated in the market for excellent finishing and wear resistant traits. In addition to this, our offered rollers have wide uses in fabric industry due to their availability with us under broad specifications. In line with clients' variegated requirements, we bring forth a distinguished collection of Sealing Roller. These rollers are designed at our ultra-modern manufacturing unit using the superb quality material and progressive technology in conformance with defined quality standards. Being a quality-oriented organization, we assure our clients that these rollers are excellent on counts of performance and quality. We also manufacturer and exporter Snubber Roller of various diameters to be installed on belt conveyors for amortization at loading points. The shock absorbing surface of such roller is formed by fitting rubber rings of the different cross-section to a metal roller. 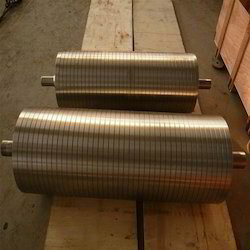 Deflection rollers for bottom and top conveyor runs. To meet the erratic needs of our esteemed customers, we manufacture, supply and export a worthy range of Squeeze Roller. Extensively used in printing and other industries, these rollers come handy for various purposes. Our professionals manufacture these rollers to ensure steady operation and targets to meet the international set of industrial norms. 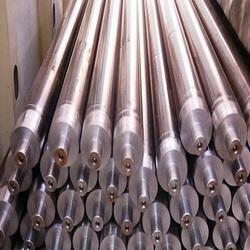 We are reputed entity involved in offering qualitative range of Steering Rollers. 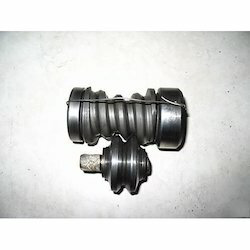 These rollers owing to their high sturdiness and excellent finishing are very much suitable for use in steering systems. With the fabrication being done with the use of high-grade steel and modern-age technology, these rollers are available with us in varied stipulations. 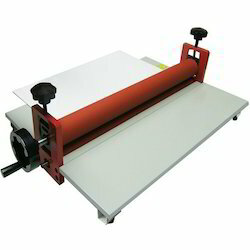 A huge assortment of Cold Laminators Roller is offered by us to customers. These rollers are extensively used in industries such as for laying down adhesive films, printing, steel, hosiery, textile and paper. The products offered by us are available in the market at pocket friendly prices. We offer a classified range of Sink Roll for to suit various purposes in printing industries, continuous galvanizing lines, and others. Operational at high rotational speeds, these rollers can be obtained in customized sizes as per the particular process requirements. Additionally, these rollers can also be made available through different casting processes as the client’s needs. Apt for usage in engineering and automobile sectors, we manufacture and export a broad range of Roller PU Ring. 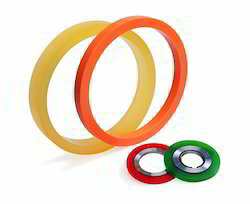 Commended for its high tensile strength, these rings are manufactured from fine quality polyurethane by our skilled professionals to offer support for simple mounting. These rings are suitable for coating, repairing and sealing purposes in various industries such as hydraulics, lifts & elevators, steel industries and automobiles. 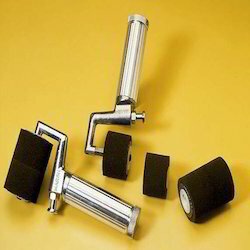 Used in varied applications, Applicators Roller is offered by us in various specifications. 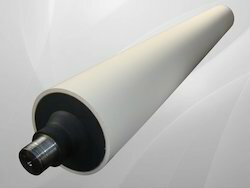 The offered Applicators Roller is available in the market in bulk and customers can avail it in various sizes. Applicators Roller is extensively used in cosmetology, and it is also a handy tool for exact reflex diagnostic and in many other applications. Facilitated by advanced machinery and contemporary technology, we are offering a qualitative assortment of Silicone Rubber Roller. The provided rubber roller is applicable in foil processing, trite machine, cutting sealing machine, and furnishing all types of plastic machine rubber rolls. 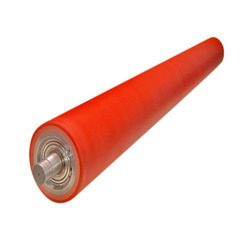 Furthermore, we offer this rubber roller in varied specifications in order to cater client’s variegated requirements. 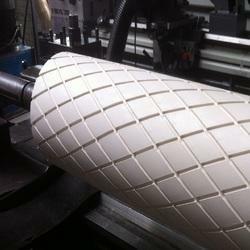 Our respected clients can avail this rubber roller from us in a promised time at competitive rates. To meet the requirements of our valued customers, we offer a varied range of Deflector Rollers apt for usage in Steel Mill industries. These rollers have been designed by our proficient staff to help prevent the belt from slipping as well as to avoid sliding between belt and roller. These rollers are available in different sizes in terms of different belt widths, tube lengths as well as diameters. 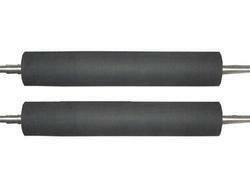 Looking for Rubber PU Roller ?